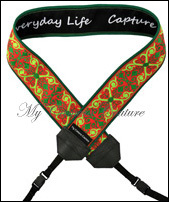 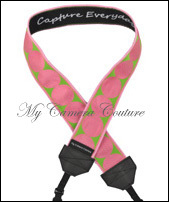 Straps in this collection have the fashion ribbon on the outside and My Camera Couture's unique "Capture Everyday Life" ribbon on the inside. 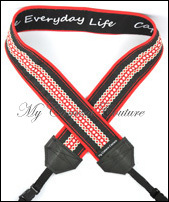 Prefer a strap without this slogan? 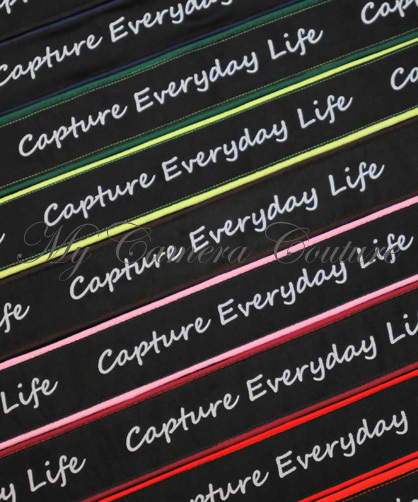 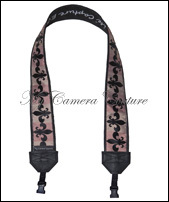 Some straps don't have this ribbon (these are usually limited edition, reversible, or luxury models). 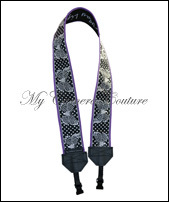 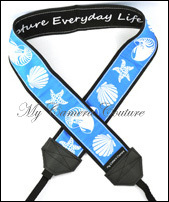 Or, order a custom strap with your choice of fabrics and lining. 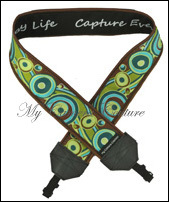 Refer to the Custom Straps page for details.